Intermittent pilot lights ignite only during heating cycles. This design is more energy efficient than other pilot light designs and reduces the chances of a gas leak, but intermittent pilots aren’t without problems. Here’s a quick look at commonly encountered issues with intermittent designs and some tips for solving them. Intermittent pilots use electronic ignition systems to create heat. When an electric signal is sent to the burner, a solenoid releases gas into the pilot and warms a heating element or emits a spark to ignite the gas. The burner is then activated and warms the home. The burner and pilot shut off when the correct temperature is reached. Intermittent designs boost the efficiency of your home and present less danger in the case of a malfunction. Check your breaker box for tripped breakers. Some furnaces also have on-unit power switches. Many of these switches look like normal light switches. Check to make sure yours is in the on position. The wrong thermostat setting is a common source of faulty ignitions. Check to make sure your thermostat is in the on and heat positions. The temperature setting of your thermostat can also play a part. Be sure the setting is higher than the current temperature of your home. Your intermittent ignition system is electronic. Loose internal furnace connections can interrupt signals. Call a pro if you suspect this is the problem. Working with electrical systems is dangerous and may cause damage to yourself and your home if handled incorrectly. Spark electrodes can wear out due to age or damage. Spotting a damaged electrode is difficult and will require the help of a professional. Your control module is a circuit board that controls the signals and input from other electronic devices like your thermostat. These boards can fail due to age, electrical surges and damage. Have a pro swap out your control module. Your pilot light is what ignites your burner and creates heat. 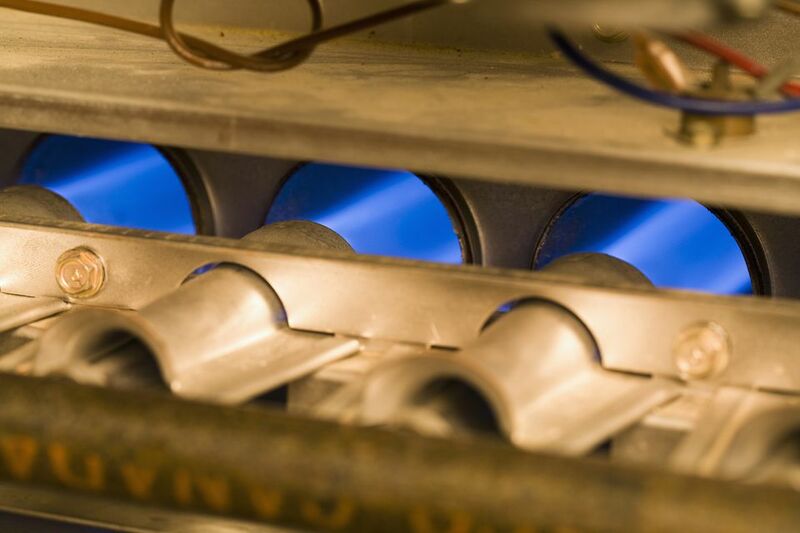 Gas-related issues are typically the cause of pilot light failure. Your pilot valve is a small device that opens and closes to release the small burst of gas that lights your pilot and burner. Most of these switches are electronically controlled. Loose or corroded wiring can cause your valve to remain closed. The gas that ignites your burner arrives to your pilot through a gas line. These lines can become pinched or damaged over time. These restrictions can limit the amount of gas released into your pilot, resulting in a lack of ignition. Burning gas can sometimes release moisture. An overabundance of water can corrode or clog your pilot line. Similar to the pilot line, the pilot valve light itself can become clogged. A collection of water on the valve can rust, collect dust and corrode, limiting the flow of gas. Older burners can also deteriorate due to age. Constant burning can weaken the metal housing and cause it to crumble and block gas. A lack of current flowing to your flame sensor will result in a momentary ignition. This can result from the lack of a proper ground or circuit polarity issues. Either of these problems will cause the gas valve to fail. The wiring in your burner can deteriorate over time. A faulty ground or live wire will cause inconsistent signaling to other electronic devices in your burner. Always call a professional if you’re experiencing issues with your burner. Tackling a faulty burner will require working with potentially dangerous electrical and gas systems.